Israel Paraguay Opens Embassy in Yerushalayim, Second Country to Follow U.S.
Paraguay Opens Embassy in Yerushalayim, Second Country to Follow U.S.
Prime Minister Binyamin Netanyahu on Monday inaugurated the Paraguay Embassy in Yerushalayim – making that country the third in the last week, after Guatemala and the United States, to do so. Romania, the Czech Republic and Honduras have said they are also considering doing the same. 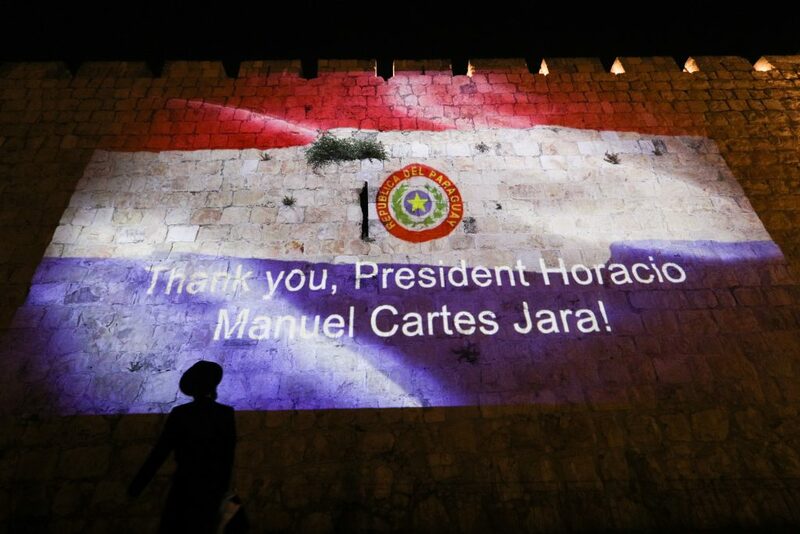 Calling Paraguayan President Horacio Cartes “a special friend,” Netanyahu said that he was happy that the country had taken the “bold step” and moved its embassy. “This is a historic day that strengthens ties between Paraguay and Israel,” Cartes said at the opening ceremony of the embassy.